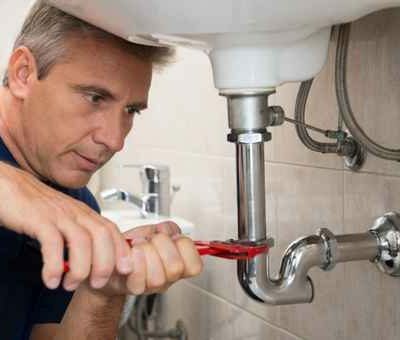 Are you in urgent need of the services of a professional plumber? Whether your plumbing has sprung a leak, stopped working or become blocked, you can rest easy knowing that our emergency plumbers in Weymouth have the situation covered. Whenever an issue should arise, rest easy knowing that we’re just a single phone call away. To request our assistance, call Porter Plumbing today on 07732 773 170. A house runs on two things – plumbing and electrics. When one fails, the chaos that ensues can be highly disruptive to your daily routine. A burst pipe can flood a room or an entire floor, and if your plumbing fails, you’ll have no running water which means no showers, washing machine, drinking water, etc. Fortunately, if you should encounter such issues, our emergency plumbers in Weymouth are here to help. Our team are experts in all areas of plumbing services which leaves us well-placed to assist both domestic and commercial customers. Our Weymouth emergency plumbers provide a level of expertise that is unmatched, so no matter how big or small the problem might be, you can rest assured that we’ll get it fixed in no time. What’s more, is that our emergency plumbers in Weymouth are also the team to call if you’re experiencing issues with your radiators, towel rails, showers, sinks, baths and basins. There’s nothing worse than finding you’re unable to bathe or that your heating has ceased working. Fortunately, there’s nothing we can’t repair. One call to our Weymouth emergency plumbers is all it takes to restore a sense of normality to your home once more. Upon arrival, we’ll assess the problem, determine the correct course of action and supply you with a free no-obligation quote. If you’re happy to proceed with using our company, our skilled plumbers will set about putting right the problem. Our emergency plumbers in Weymouth are all fully insured, so whatever happens, you can trust that you’re completely protected. Furthermore, we boast one of the fastest response times in the industry – just two hours in most cases. So, if you find yourself in a bit of bind and require honest and professional advice and solutions delivered by a friendly team of experts, call Porter Plumbing today on 07732 773 170. Why Choose Our Emergency Plumbers in Weymouth? If your search for local authority approved experts has brought you to us, you’re in luck. Porter Plumbing represent the best that the industry has to offer, and with an impressive reputation to back up our claims, you know you’ve come to the right emergency plumbers. Weymouth customers, as well as customers throughout Dorset, have benefitted from our expertise for many years. As well as being the finest Weymouth emergency plumbers around, we also provide a complete plumbing, heating and gas installation service too. Our customers span the domestic, commercial and industrial sectors, and it’s this adaptability that makes us the go-to company for most. As a company, we are highly qualified with all available Gas Safe levels of registration, including those for natural gas to our credit. In addition, we also possess Univented Systems and energy efficiency qualifications and are recognised sanitary engineers with all forms of drainage undertaken. Whether we’re installing a new bathroom, mending a few pipes, power flushing a drain or overhauling a heating system, you can count on Porter Plumbing – plumbers you can trust. If the need arises to contact emergency plumbers in Weymouth, call Porter Plumbing now on 07732 773 170.